The bi-annual Chinchilla Melon Festival is on this year from 12-15 February and the organisers are gearing up for another week of fun filled events. Chinchilla is approximately 300 kilometres west-northwest of Brisbane (3 hours drive) and was established in 1877 with the main industry being beef and pork production and wool growing. Recently coal and gas projects have injected money into the community and the town has experienced a massive growth. Chinchilla is located on the Warrego Highway, which is the main route to Charleville and therefore has become well known by grey nomads and tourists travelling around Australia. Chinchilla is also noted for Chinchilla Red petrified wood, which is unique to the area and known for its colour and quality. Many find time to fossick whilst staying in the town. Chinchilla produces 25% of Australia's melons which includes watermelon,rockmelon and honeydew. The first festival was held in 1994 to lift the town's spirits after the severe drought experienced in the early 1990's. From a humble beginning of approximately 2500 in attendance, it is now estimated that 10 000 visitors flock to the town for this week long festival. This is also a far cry from the regular 5500 population. The festival actually begins on Saturday 7th February with a trivia night and Melontine Dance followed by a fun run on the Sunday. Although there are a couple of activities during that week, the festival gets really wound into action on Thursday 12th with photographic competition and a movie at the Ironbark Theatre at night. Some events incur an entry free, for example Melon Chef, a cooking competition where participants from local schools and businesses compete against each other for title of Chinchilla Melon Chef. The cost is $15 per adult, $10 per child or a family ticket for $50. Tickets numbers are limited. This year the audience will be entertained by a local band The Sundaze and there will be a licenced bar and melon cuisine. There is lots of free entertainment so you won't be caught short wondering what to do; events such as Melon Skiing, Melon Bungy, Melon Feast, Melon Eating, Pip Spitting (I'd much prefer melons without seeds), Melon Ironman and Melon Ironwoman, with many more to read about on the official website. Saturday evening hosts a family free concert featuring McAlister Kemp, a multi award duo singer/songwriter Drew McAlister and Troy Kemp. They topped the ARIA Country Awards, won a Golden Guitar and have two fan-voted CMC music awards to their credit. 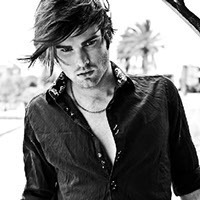 Also performing on the night is Dean Ray, a Melbourne based artist who won Australia over on the X-Factor with his rendition of Bette Davis Eyes and went on to be Runner-up on X-Factor for 2014. Sunday 15th rounds up the festival with a poets breakfast, bowls day and combined churches celebration. Festival accommodation can be booked at the Commercial Hotel/Motel, Club Hotel and Central Motor Inn or Chinchilla Downtown Motor Inn. 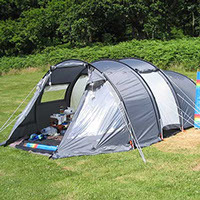 Visitors with caravans should contact the Chinchilla Melon Festival Camping, which is situated at the Showgrounds or the Polocrosse Grounds. All contact numbers and prices for camp sites can be located on the official Melon Festival Website. As this festival only comes round every two years, don't leave it too late to make up your mind to go or book ahead as you just may miss out.